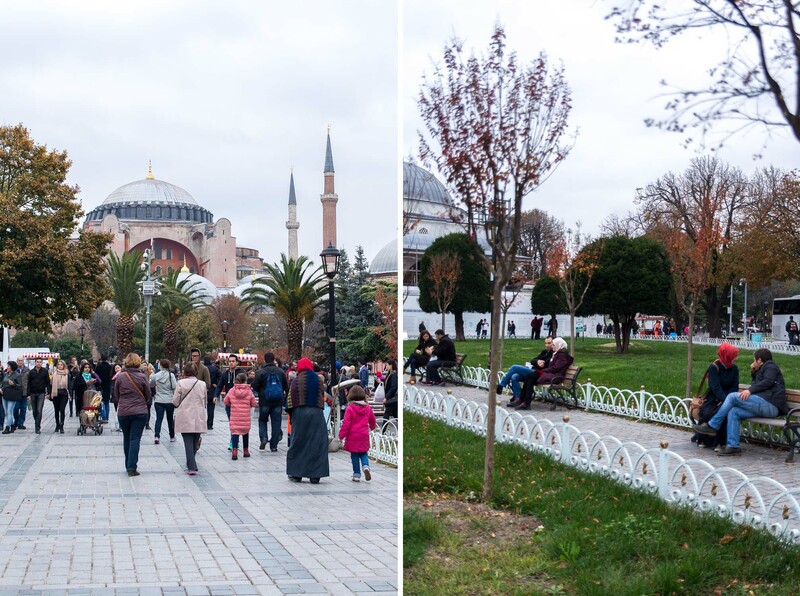 On our way to India with Turkish Airways last November we had the opportunity to stop over in Istanbul for two days. I hadn’t been in Turkey since 2005 and I was eager to re-visit this destination. 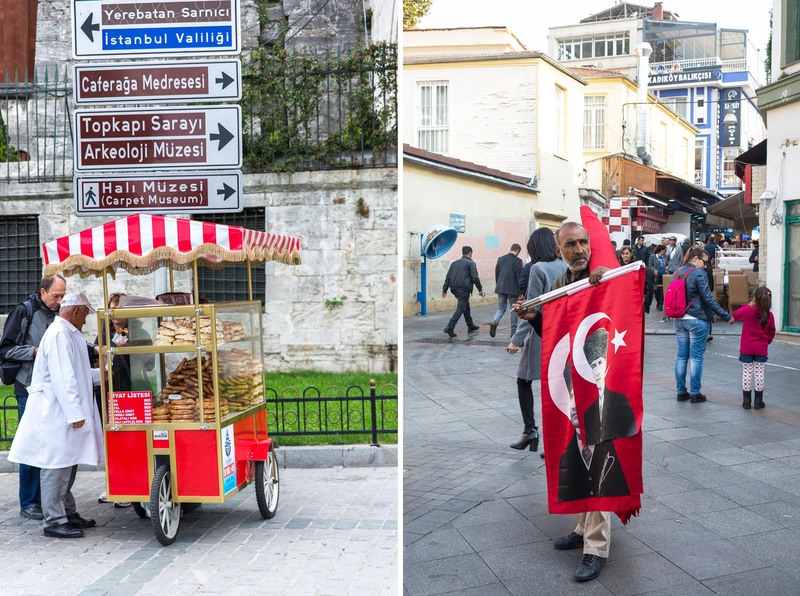 It was the first time in Istanbul for my husband so we had to get the popular tourist spots covered. 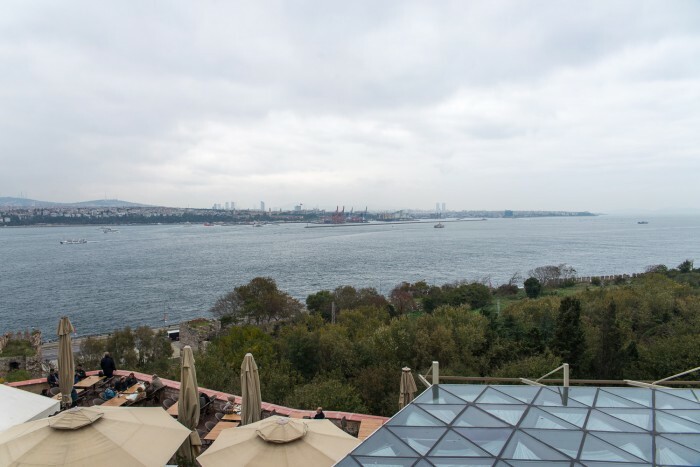 We needed a convenient and central accommodation and we were very happy with our choice of Georges Hotel Galata. 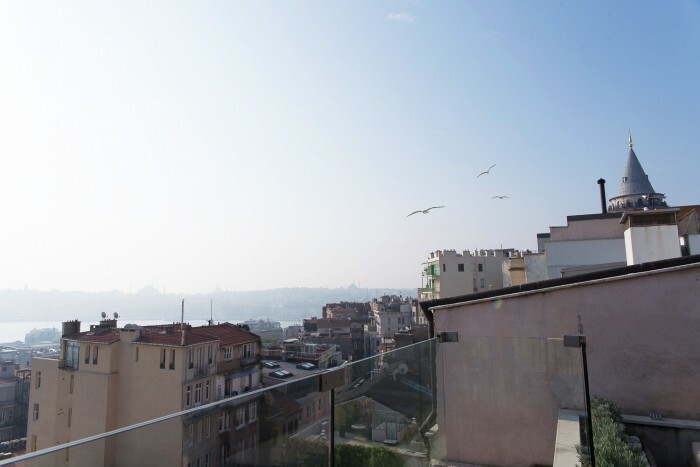 The 20-room boutique hotel is located in the heart of the modern district of Beyoğlu. 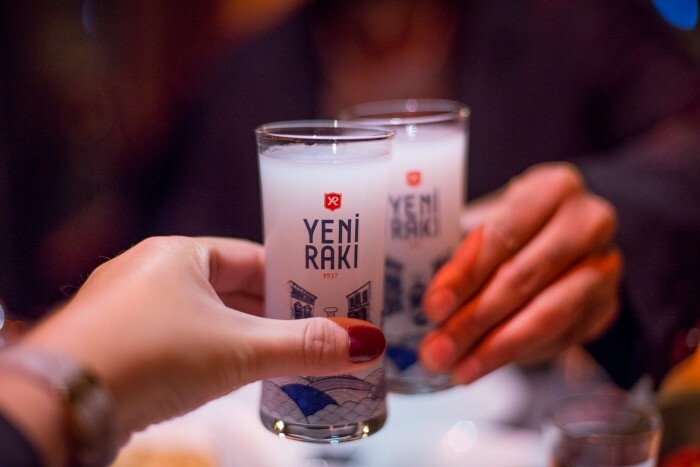 Georges Hotel is a minute away from Galata Tower, ten minutes from Galata bridge and Karaköy ferry terminal, twenty minutes from Taksim square. Apart from the taxi from / to the airport, one tram and two ferries we didn’t have to use any other transportation during our stay. 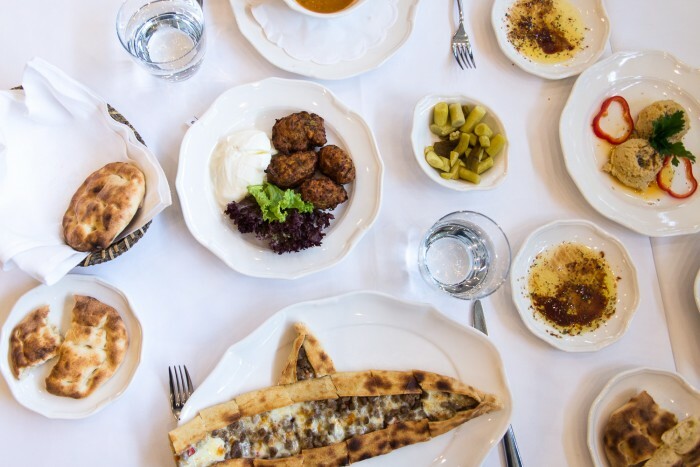 To make the most of our limited time in Istanbul we planned our trip in advance with the help of Tailored Turkey, a travel company which designs luxury bespoke holidays to Turkey; they recommended our hotel and city tour, as well as restaurants to try during our visit. We left London on Friday evening and checked in the hotel late at night. The next morning we met Duygu, our guide for the day from Istanbulite, a local walking tour company. 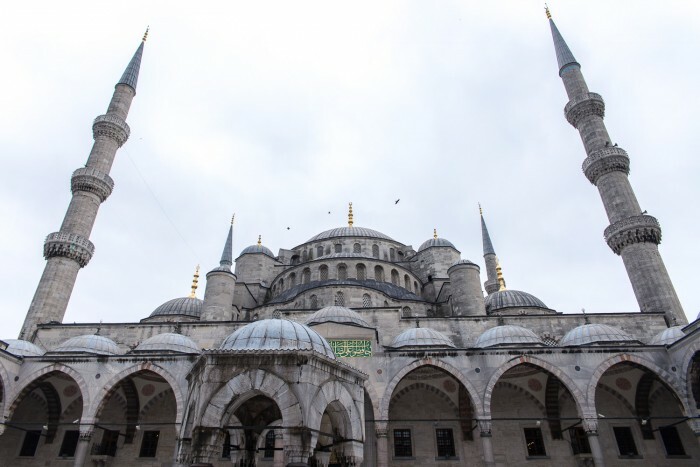 Without Duygu we would have never been able to see so much of Istanbul in just one day, so I would definitely recommend booking this tour, especially if you are short of time. We started the tour at 10:30am from our hotel, walked from Galata to Karaköy and from there we hopped on a tram across the Golden Horn and into the old town. This was the only transportation we used that day, the rest of the tour was entirely on foot. Over the next few hours we visited the Topkapı Palace, which was one of the major residences of the Ottoman sultans for almost 400 years of their 624-year reign. 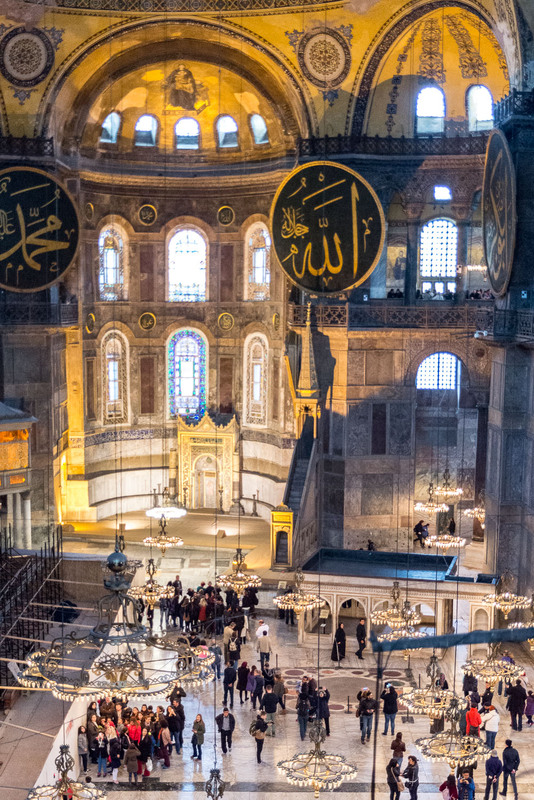 Hagia Sophia – a former Christian patriarchal basilica, later an imperial mosque, and now a museum. 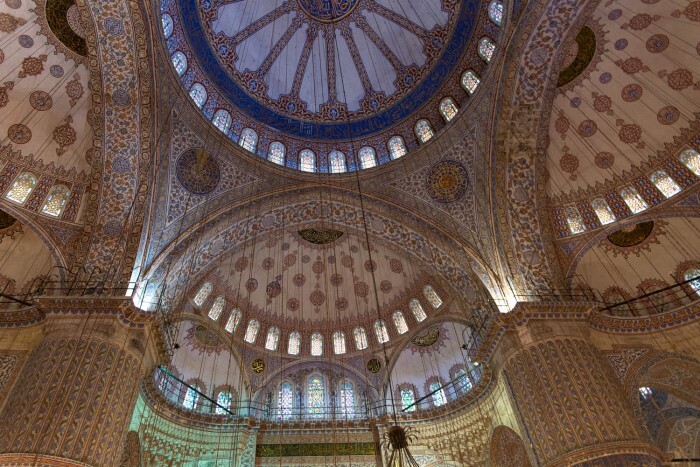 Sultan Ahmed Mosque, popularly known as the Blue Mosque for the blue tiles adorning the walls of its interior. 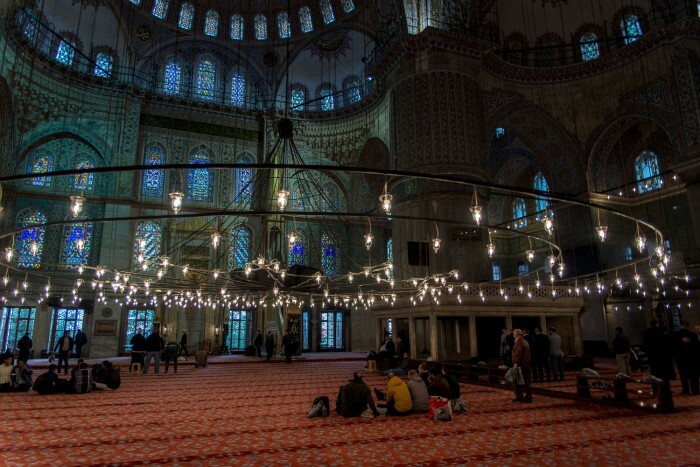 Unlike Hagia Sophia which is now a museum, Sultan Ahmed still functions as a religious site. The entrance is free, but there can be long queues due to its popularity. Women must cover their heads, shoulders and legs before entering the mosque. 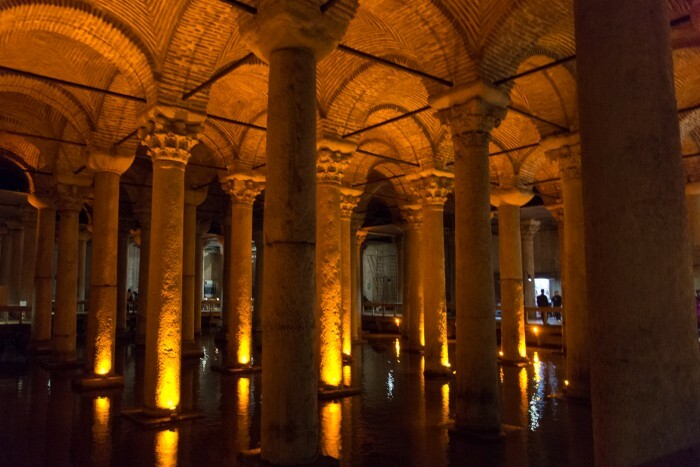 Basilica Cistern – the largest of several hundred ancient cisterns that lie beneath the city of Istanbul. This is part of any tour of the old town and worth a visit in my opinion. It is impressive to see. 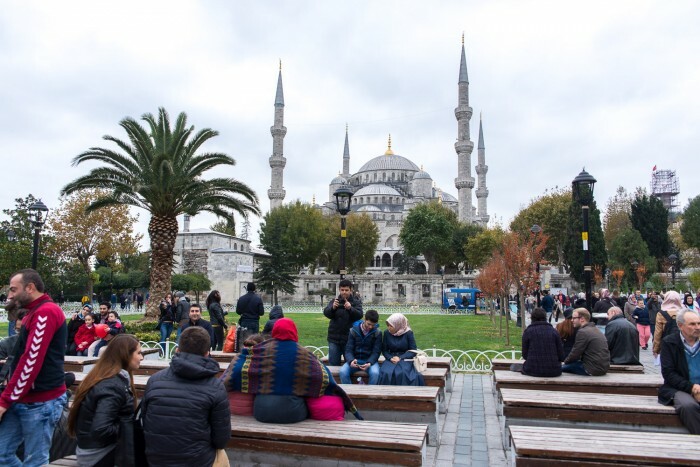 A very important factor to consider when booking a private tour of Istanbul is that tour guides have a special pass to skip the queue at ticket offices for the main sights, like Topkapi Palace or Hagia Sophia. It was already an advantage for us even though we visited in low season (mid-November). I bet this would be very useful at peak times in Spring / Summer. By this point we needed a snack to keep us going until lunch time. 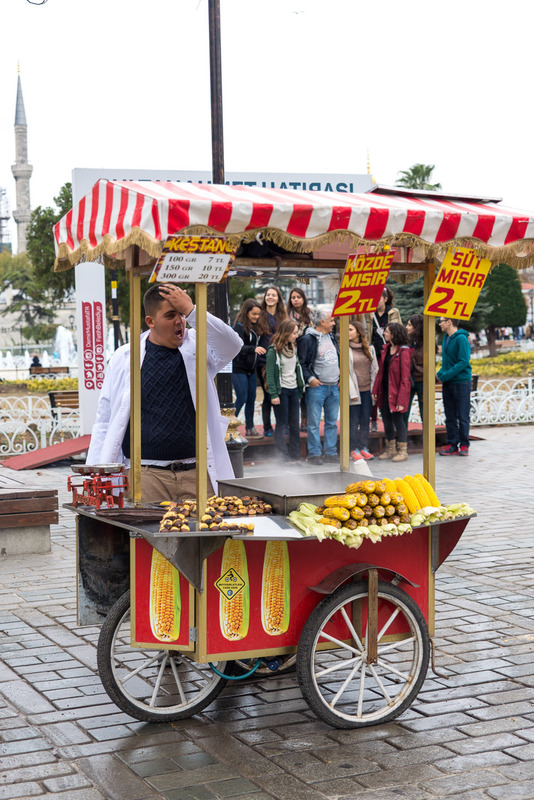 Everywhere in Istanbul (particularly in touristic spots) you will see carts like this one, selling simit or corn on the cob. 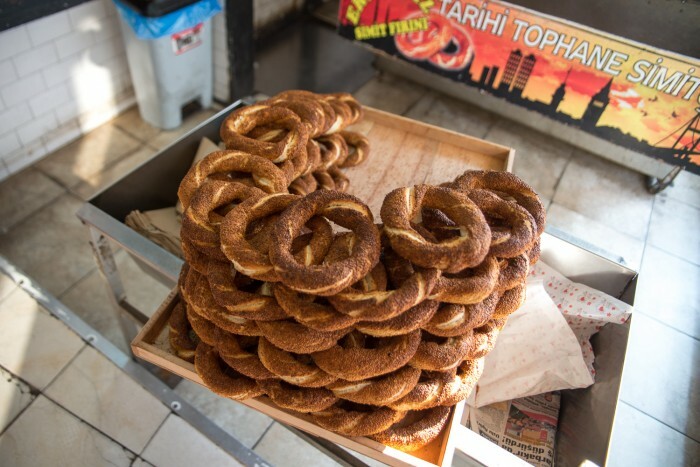 Our guide Duygu advised against the corn as it was out of season (it’s best in summer), so we tried the simit instead. 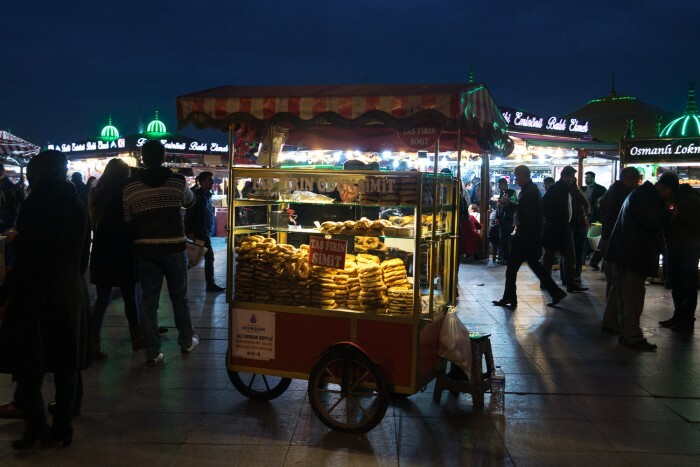 Simit is a circular bread topped with sesame seeds, found across the cuisines of the former Ottoman Empire. The next day we stumbled upon a little bakery called Tophane Tarihi Taş Fırın (around 15′ walk from our hotel). We bought freshly baked simit and it was so delicious! 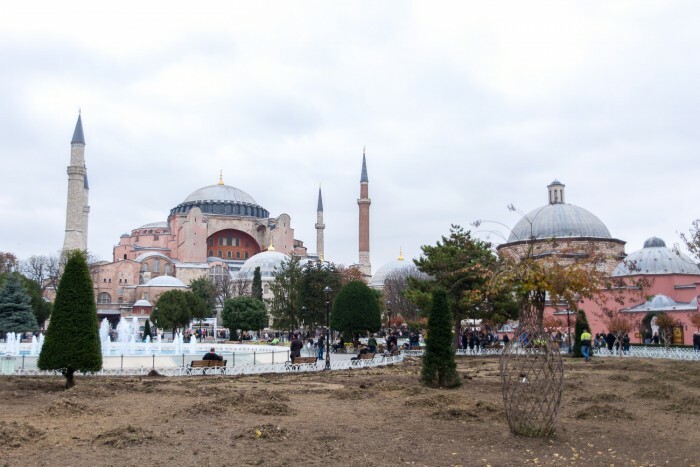 It was so much better than the one bought on the street near Hagia Sophia. After lunch we walked to the Grand Bazaar, one of the largest and oldest covered markets in the world. 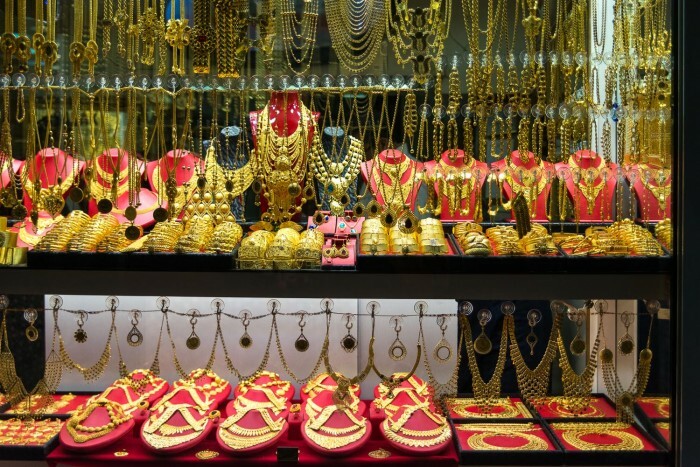 There are 61 streets inside the bazaar and over 3,000 shops! 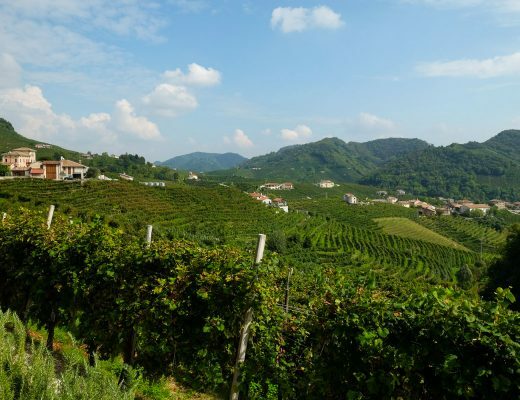 It’s experience that you should not miss,. 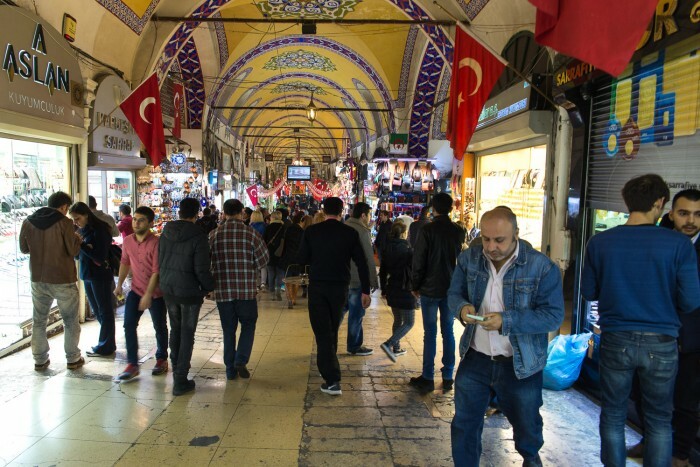 The Grand Bazaar is a great place for shopping, but it’s a huge place and everything looks the same to the eyes of a tourist. It is easy to be overwhelmed. 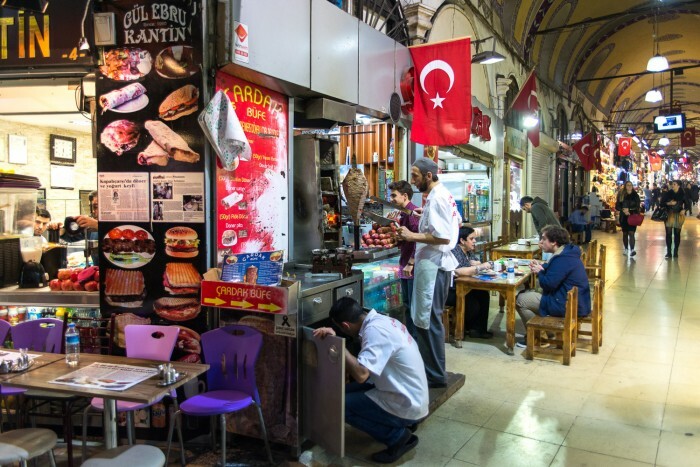 When you get tired of shopping and haggling you can rest in one of the tiny cafes and food stalls inside Grand Bazaar, look around and soak up the experience. 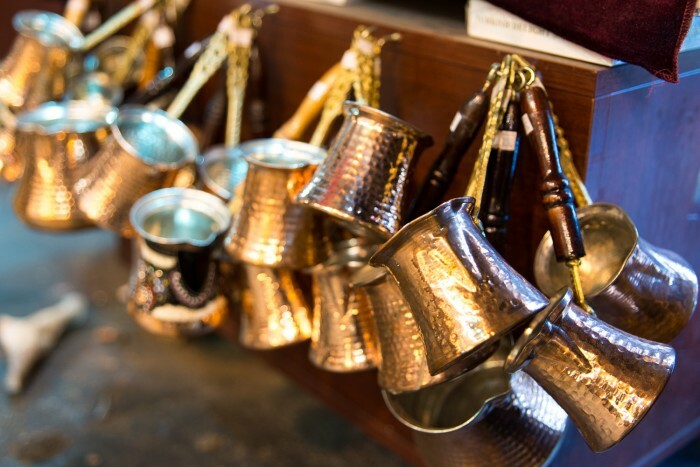 I remember visiting Grand Bazaar with my parents as a teenager and spending a long time inside each shop, drinking tea while my parents were negotiating prices with the shop sellers. It’s good to immerse yourself in the atmosphere, but be careful not be fooled with overpriced and low quality items. 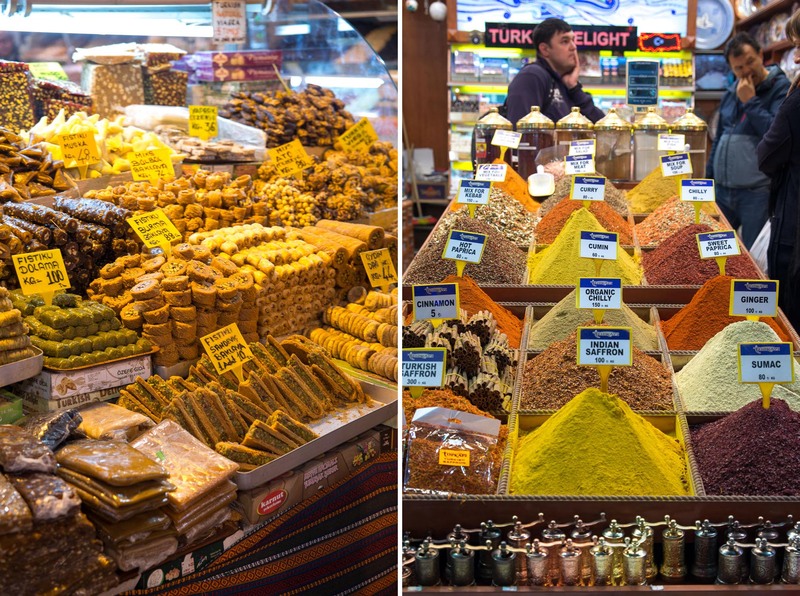 At the Grand Bazaar you will find spices, but don’t buy them here, go to the Spice Bazaar in Eminönü instead (10-15′ walk towards Galata bridge). 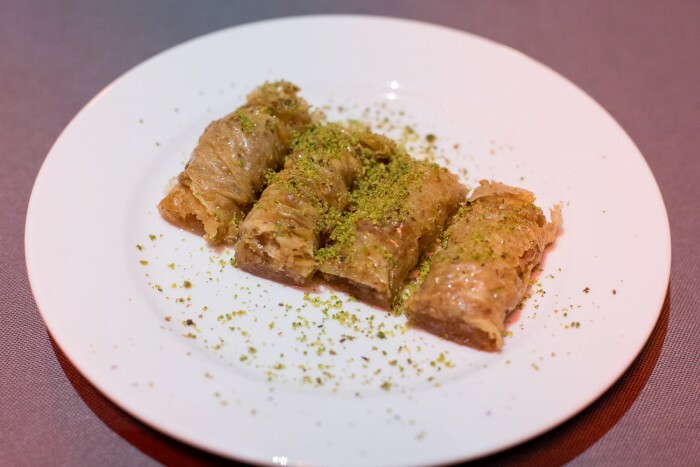 You will also find baklava, but hold off: try the one from Güllüoğlu Bakery in Karaköy instead. 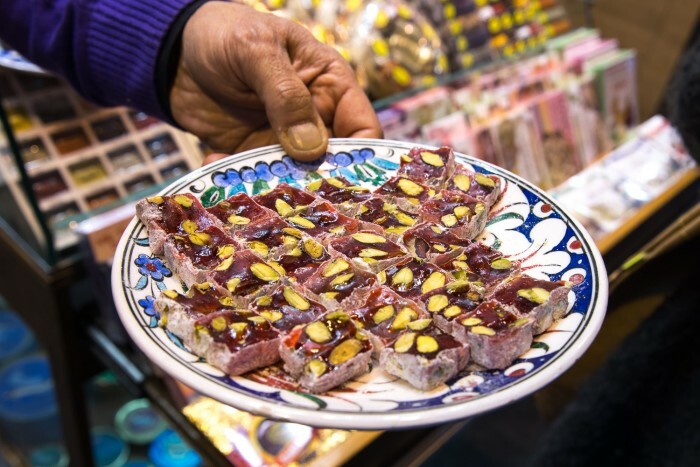 We walked to the Spice Bazaar where we bought lots of dried fruits, nuts and the famous Turkish Delights: small cubes of jelly, usually flavoured with rosewater, orange flower water or citrus fruit juice and dusted with icing sugar. I wouldn’t have known which shop to buy them from, but luckily our guide Duygu was there to take us to the best sellers. 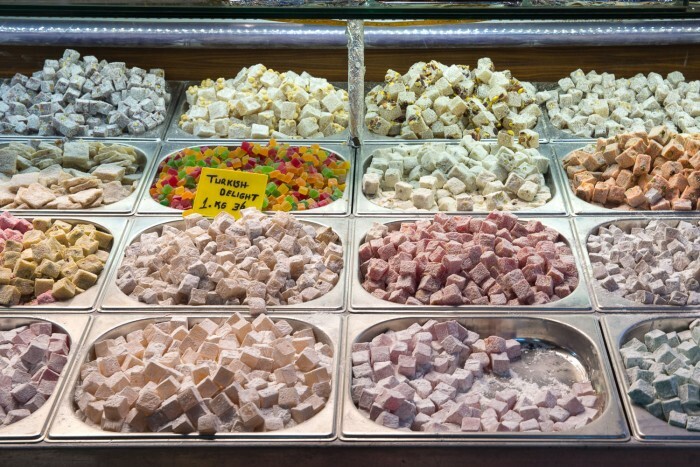 A good place to buy Turkish Delights in Istanbul is Haci Bekir, a confectionery store open since 1777. 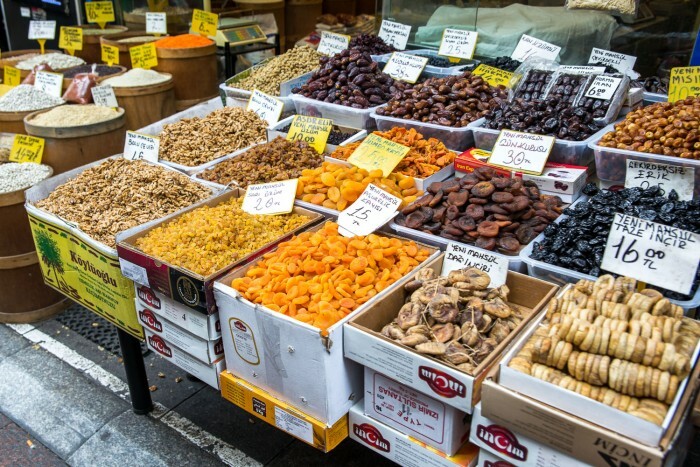 They have several stores, including one on Istiklal Street and one in Kadikoy. Afterwards we walked to Eminönü and the Golden Horn. 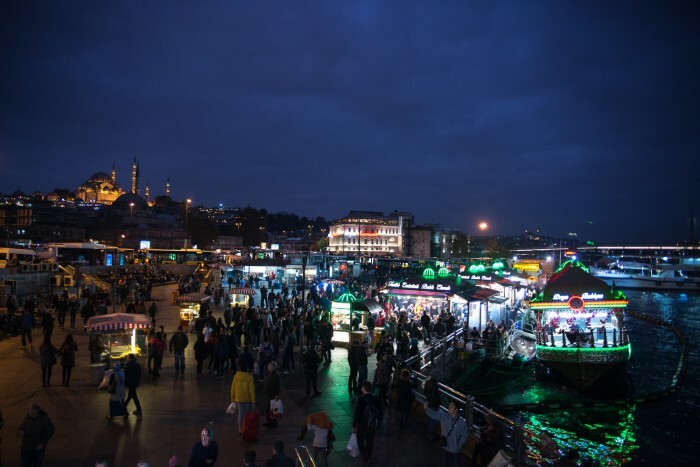 As night fell we walked across Galata Bridge watching the street food seller and fishermen at work on the busy streets. 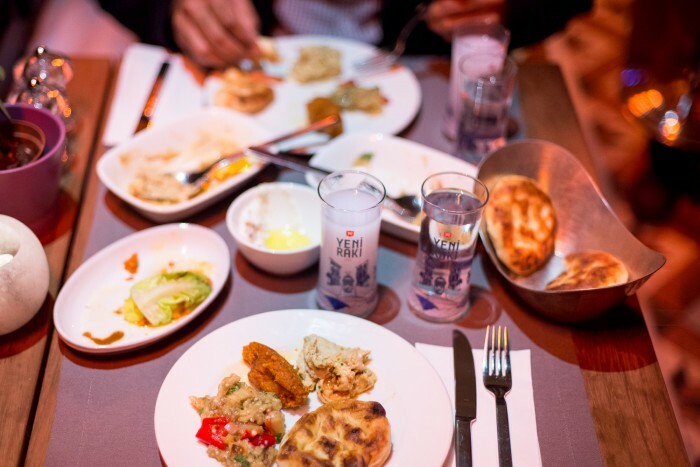 For dinner we went to Sahrap, a restaurant in Beyoğlu about 10 minutes walk from our hotel. 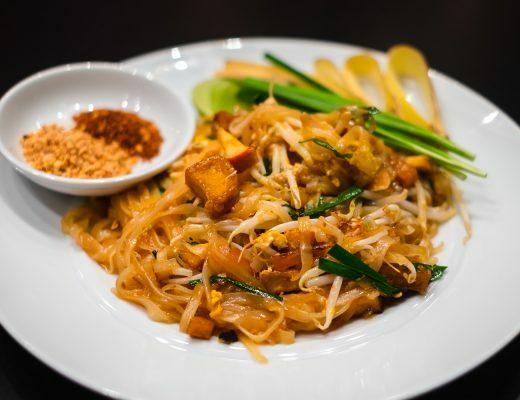 The whole neighbourhood was buzzing on Saturday night with packed restaurants and bars on every streets. 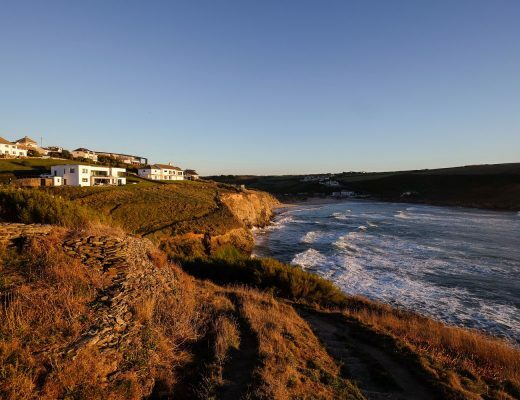 The first restaurant we tried as it was recommended to us by Tailored Turkey (Antiochia Concept) was fully booked. Luckily we found a table at Sahrap; it was outside on the porch, but it was a mild evening so we didn’t mind. 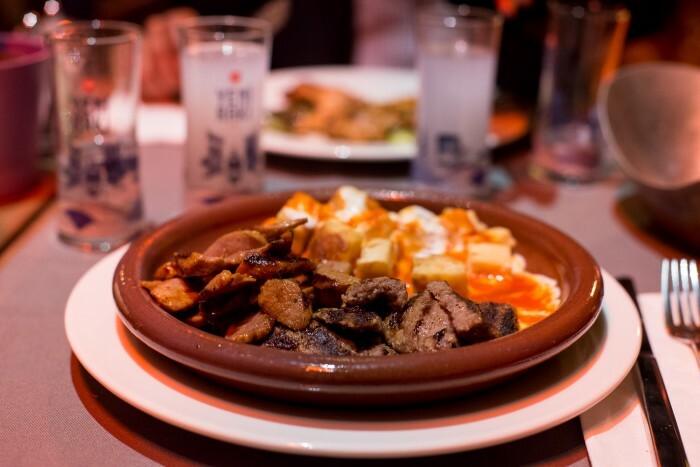 The restaurant is owned by a celebrity chef, Sahrap Soysal, and it specialises in Anatolian cuisine. 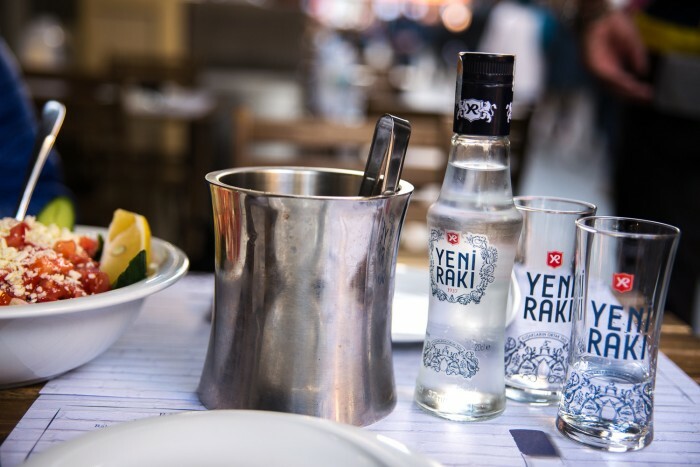 Not only you will find Turkish classics, but you will find many of them served with a modern twist. 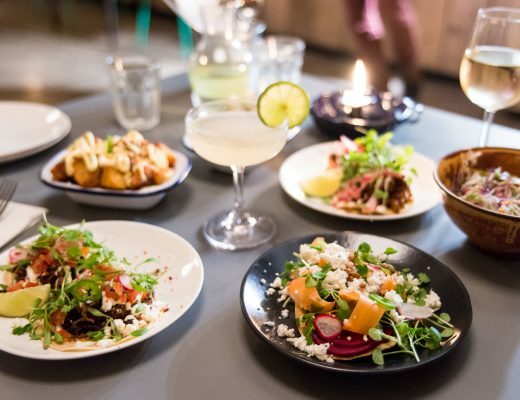 We shared a few mezze and ordered a glass of Yeni Raki to go with them: Bulgur with walnut balls and pomegranate syrup; charcoal grilled aubergine salad; hummus with shrimp. 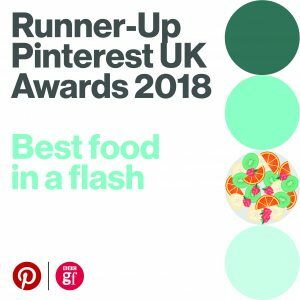 As my main course I had the “Outstanding Special Kebab with Stone-oven Flatbread and Yoghurt”. It was absolutely delicious! The homemade baklava prepared according to Sahrap’s family recipe was also fantastic. The chef was there in the restaurant, she walked around the tables as clearly knew many of the diners. 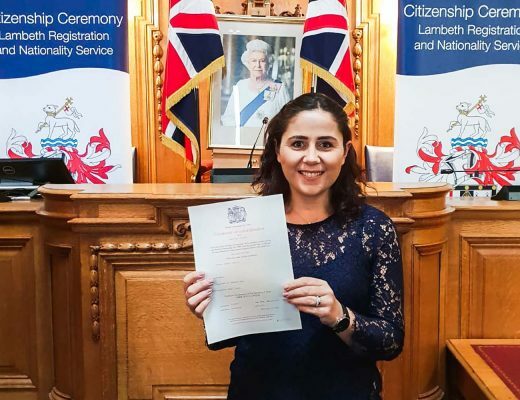 There was a lovely family atmosphere which made me feel at home and welcome. The next morning we decided to take it easy. 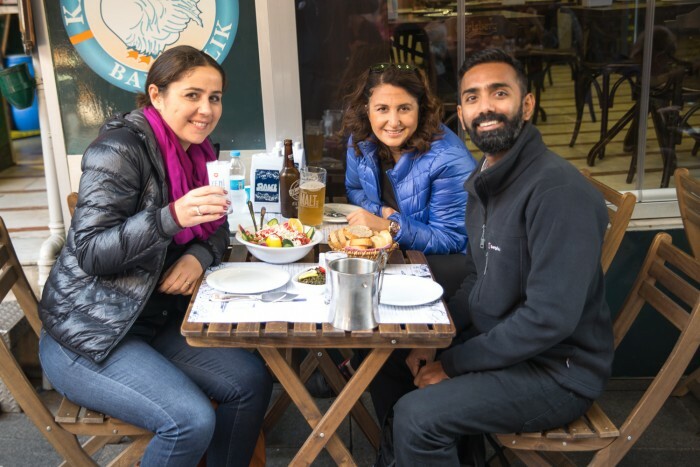 Instead of taking a Bosphorus cruise from Kabataş as we had planned, we took the public ferry service from Karaköy to Kadıköy where we had arranged to meet a friend for lunch. Taking a ferry across the Bosphorus is inexpensive and really worth it. 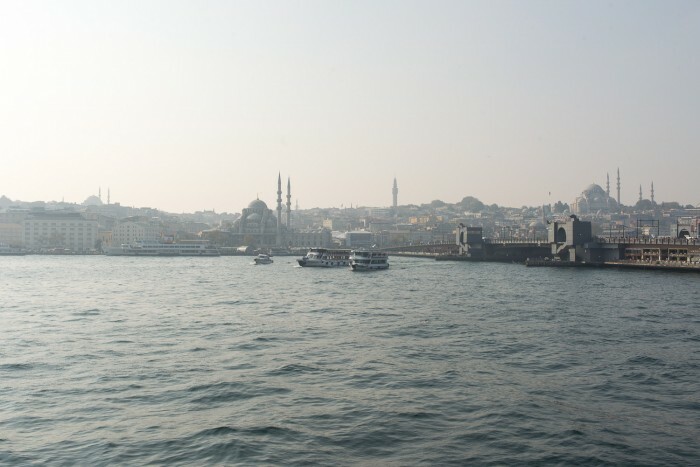 The view of the old town as the boat leaves the Golden Horn is absolutely breathtaking. 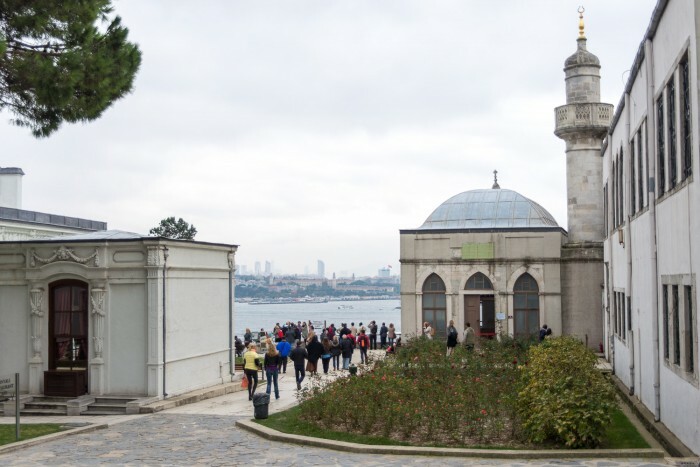 Istanbul is a city built on two Continents divided by the Bosphorus Strait: the east and the west. The west part is then divided by the Golden Horn canal into north (modern) and south (old). 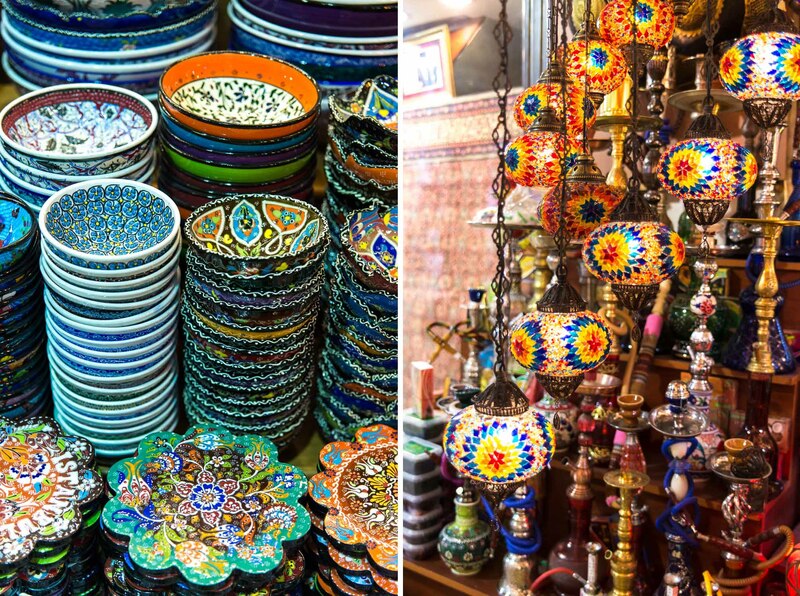 This physical separation adds an incredible cultural richness and beauty to the city. Kadıköy is on the Asian side and is a residential district for the Turkish middle class. 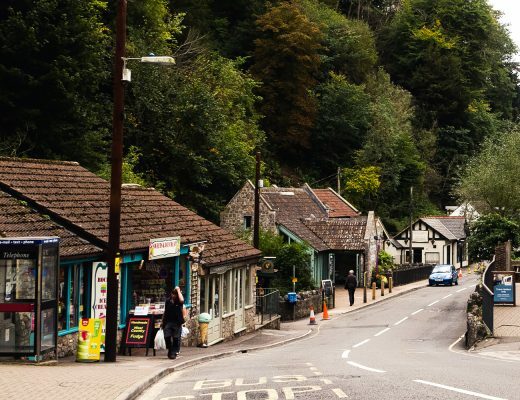 It is a bustling commercial centre and not a big tourist destination. 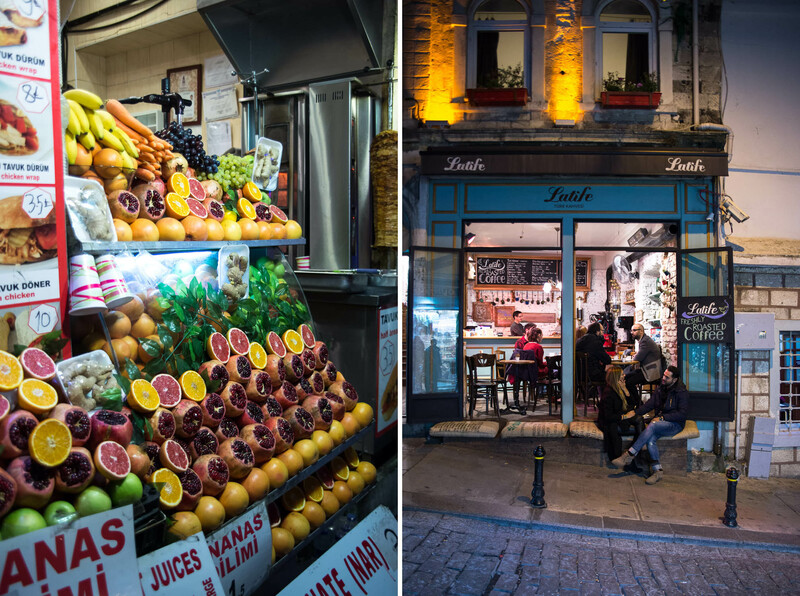 Come here to see a glimpse of the real Istanbul. 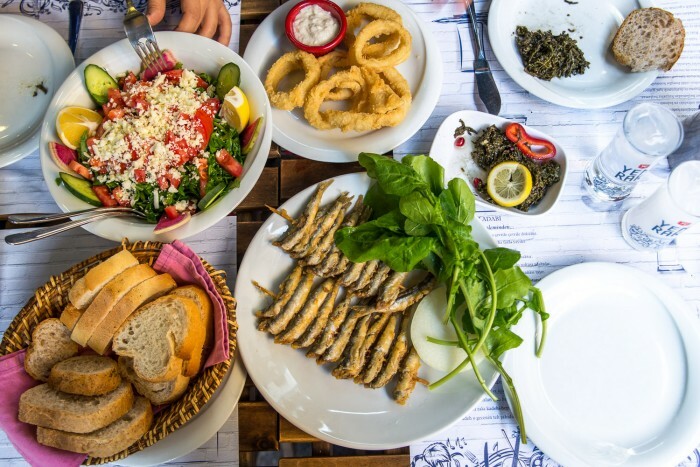 We walked to the fish market and had an amazing (and seriously cheap) lunch at Kadi Nimet Balikcilik. 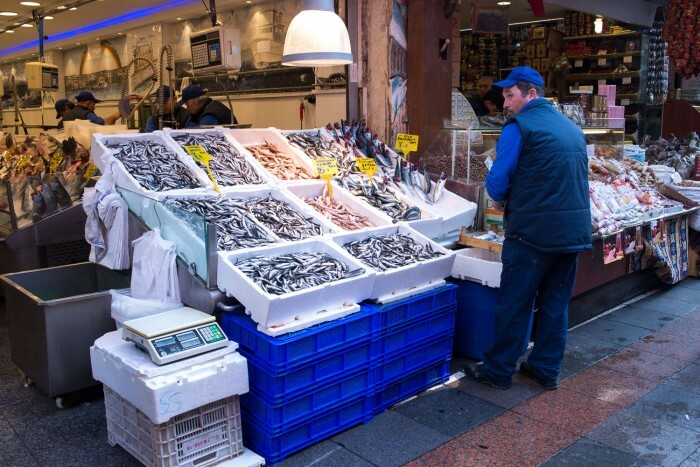 There are many fish restaurants at the Kadıköy market, but this is the only one that stays busy throughout the day, as they quality and prices are hard to beat. After lunch we took the ferry back to Karaköy, one of Istanbul’s trendiest neighbourhood. I expected this part of the city to be quiet on a Sunday luncht time / early afternoon. I was wrong! We walked past many bars and coffee shops packed with young people and groups of friends gathered outside on the streets. 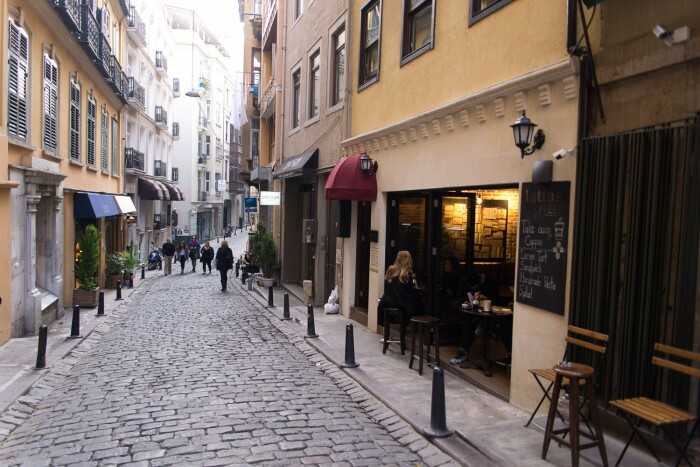 We walked up the hill to Kronotrop, a speciality coffee shop in the neighbourhood of Cihangir, Beyoglu. 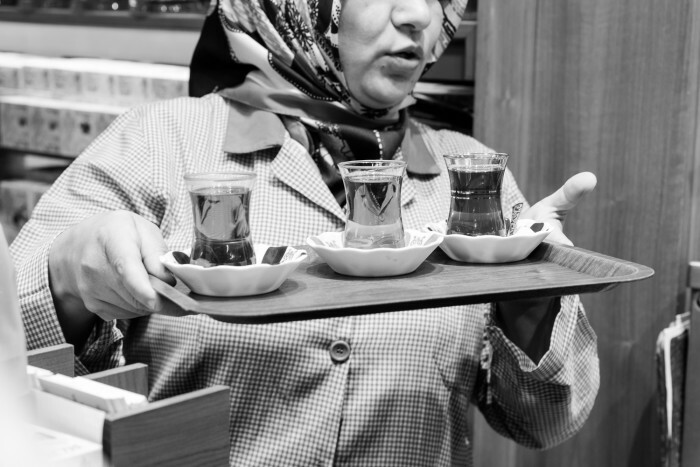 Kronotrop opened in 2012, and is widely regarded as one of the first specialty coffee bar and roastery in all of Turkey. Unsurprisingly the shop was packed, but we managed to find space by the coffee counter at the back of the shop. My husband ordered a filter coffee (they use all the popular brewing methods such as AeroPress, V60, Chemex, etc.) 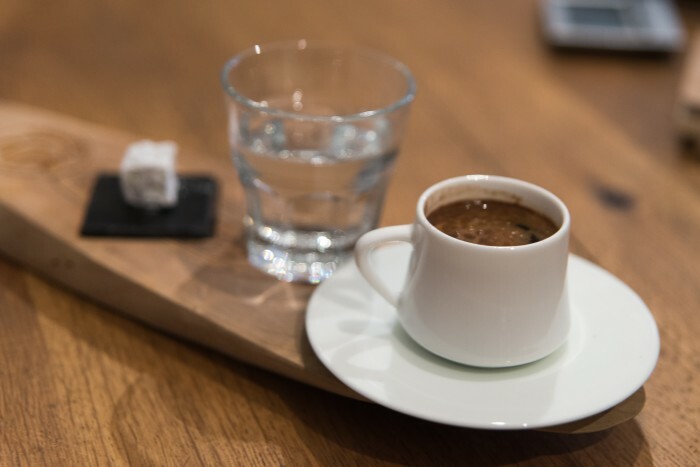 while I tried the Turkish coffee. 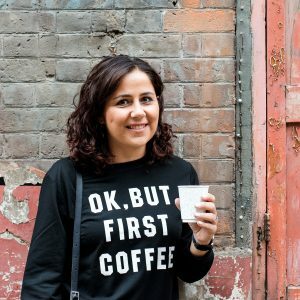 Istanbul has a lively speciality coffee scene and there were many shops I wanted to visit (like Norm Coffee, Petra Roasting Co. and Cup of Joy). Sadly it was already time for us to leave Istanbul, so all the restaurants, coffee shops, museums and art galleries will have to wait for next time. On the way to the airport we chatted to our taxi driver, a Turkish man who had lived in England for a few years before deciding to come back to Istanbul. We asked him why he made this decision, his reply was simple: to come back to his homeland. As an expat myself it made me wonder. There are many things I love about Rome , but would I ever go back? No, because I feel my city is stuck in time, it doesn’t evolve, it’s old. 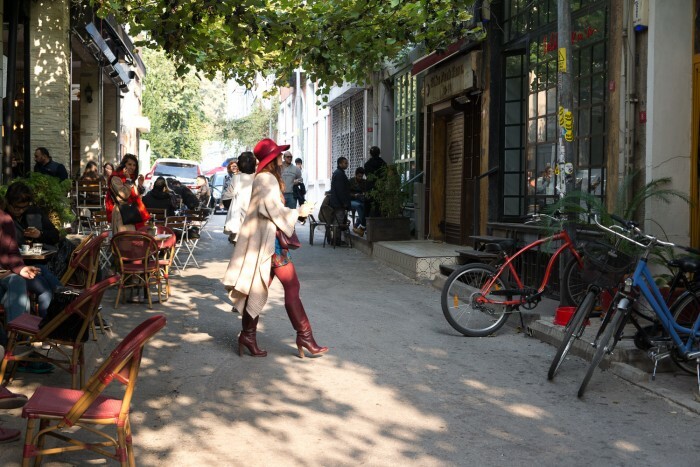 That’s the opposite I felt about Istanbul: it’s modern, eclectic and young but also deeply anchored to its history and culture. 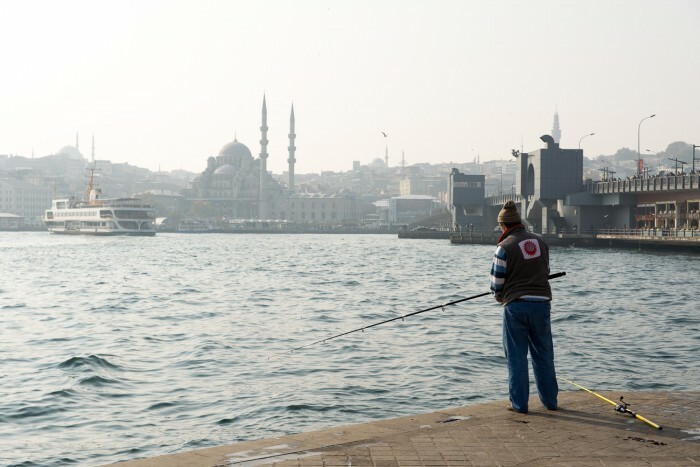 I happened to visit Istanbul three times, each visit was ten years, and every time I found the city had evolved and changed in positive ways. It this was my hometown, I’d be extremely proud. Well done, Istanbul. I cannot wait to be back to explore this city with more time.